Euro is trying to resume the down-trend. The price broke the level of 38.2% and then started moving downwards. Later the pair is expected to continue moving towards the target area, where there are three fibo levels at the same time. 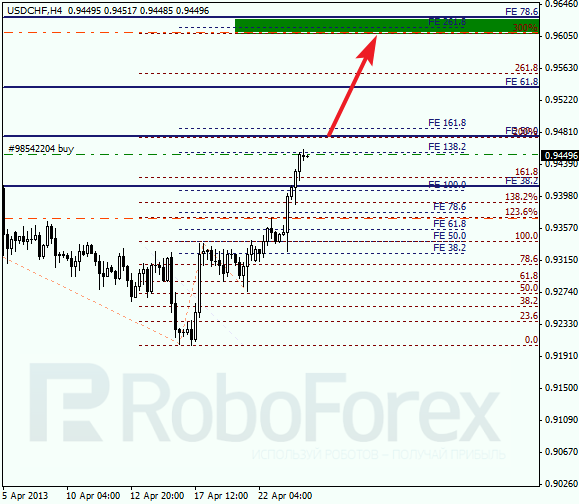 As we can see at the H1 chart, in the target area there is one more fibo-level, which makes this target even more important. 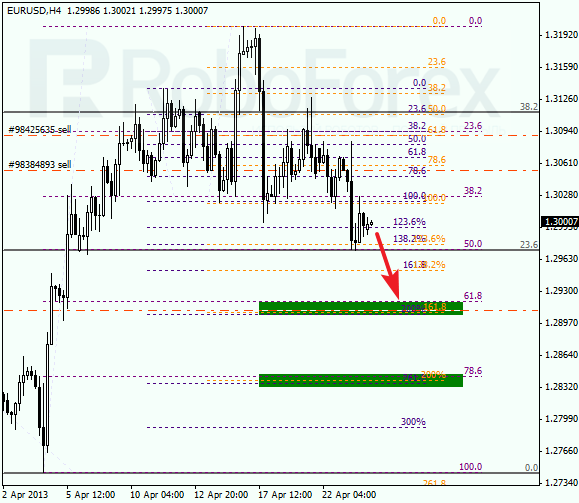 According to the analysis of temporary fibo-zones, the level of 1.2920 may be reached during the day. Franc started moving upwards very fast and easily broke several target areas. 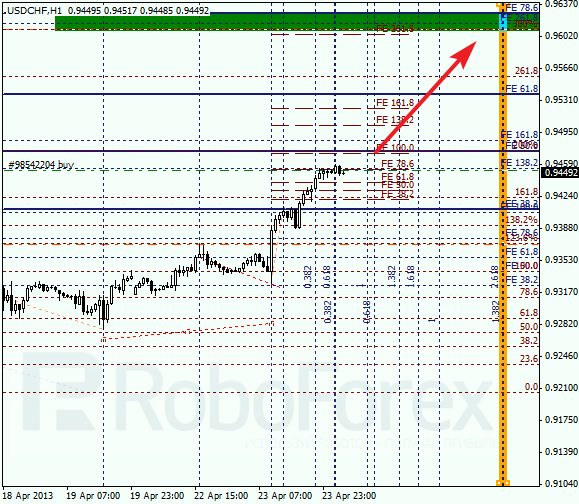 The next target for the bulls is the level of 0.9610. During a local correction I opened a short-term buy order and in the future I’m planning to open several more. According to the analysis of temporary targets, the market may reach the predicted target levels by the end of Thursday. Later this area may become a starting point of a new correction, or even a reverse. However, if the pair breaks it, the price will continue growing up.